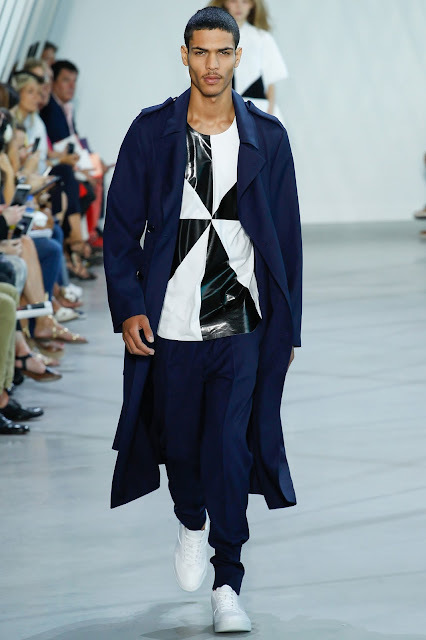 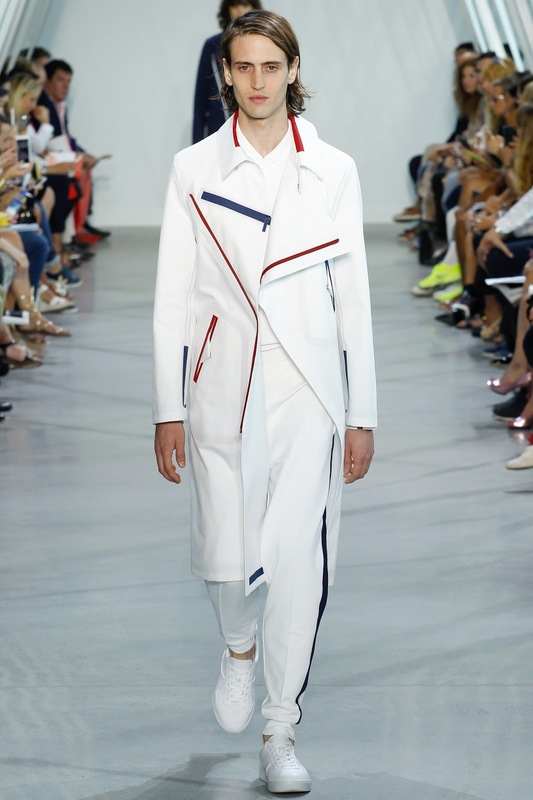 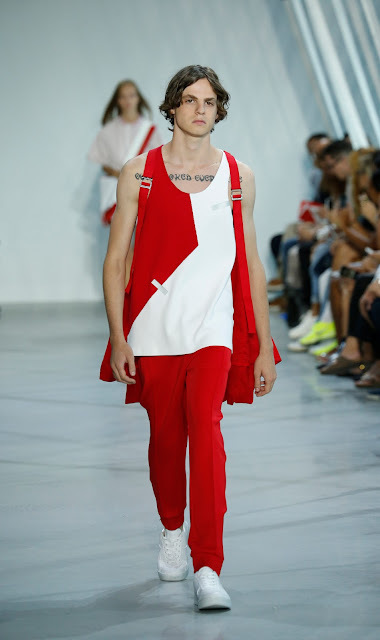 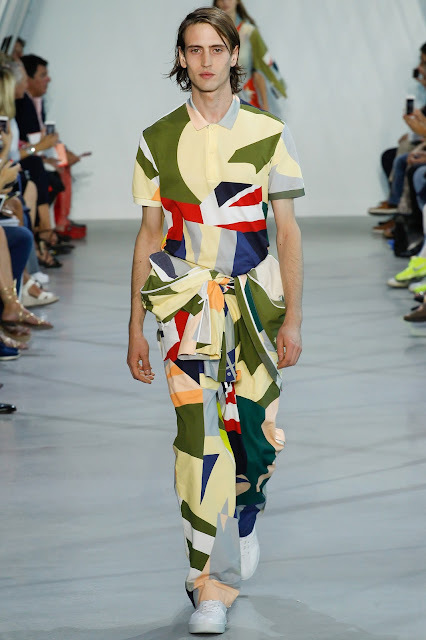 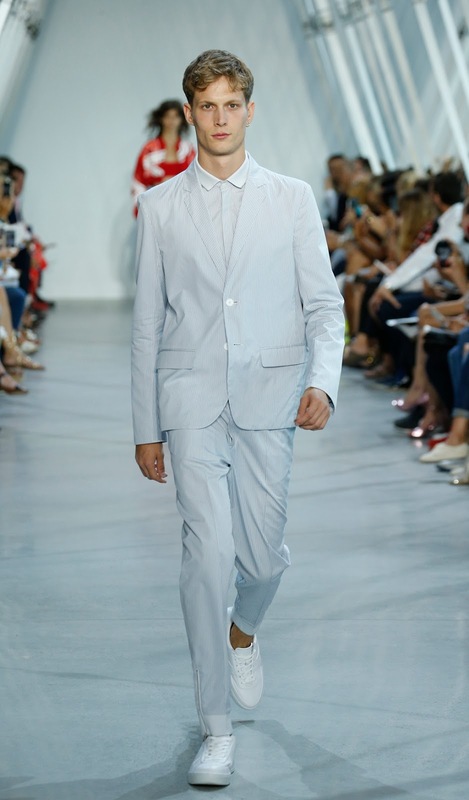 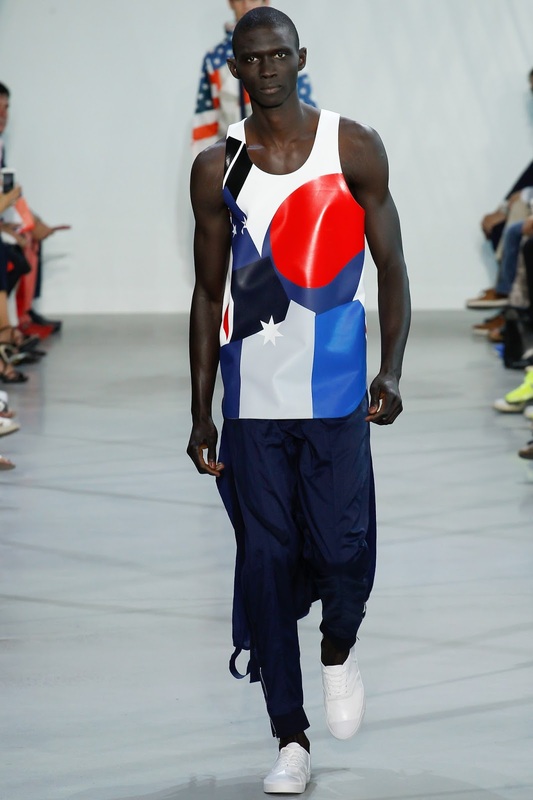 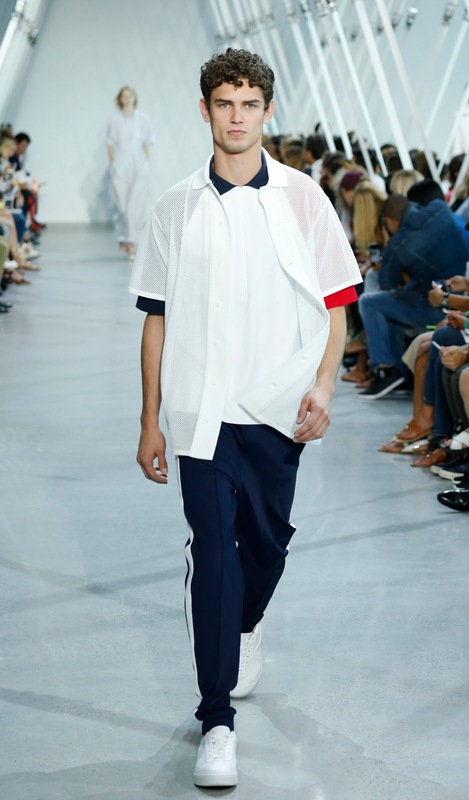 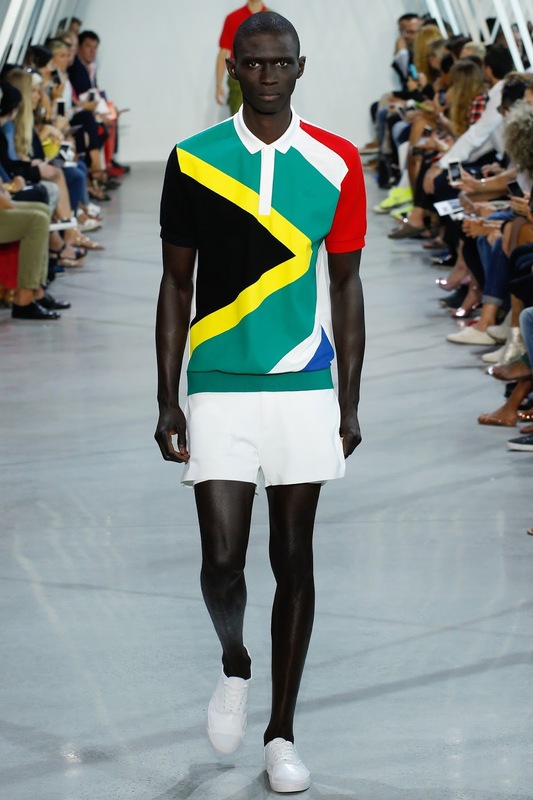 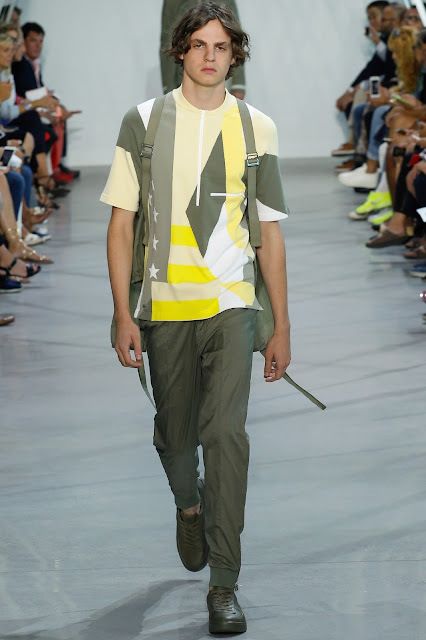 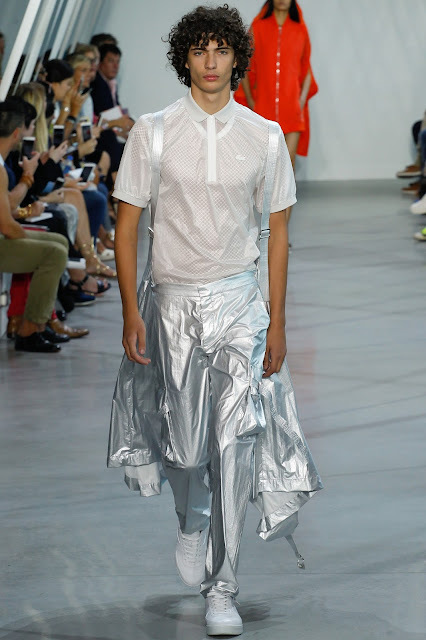 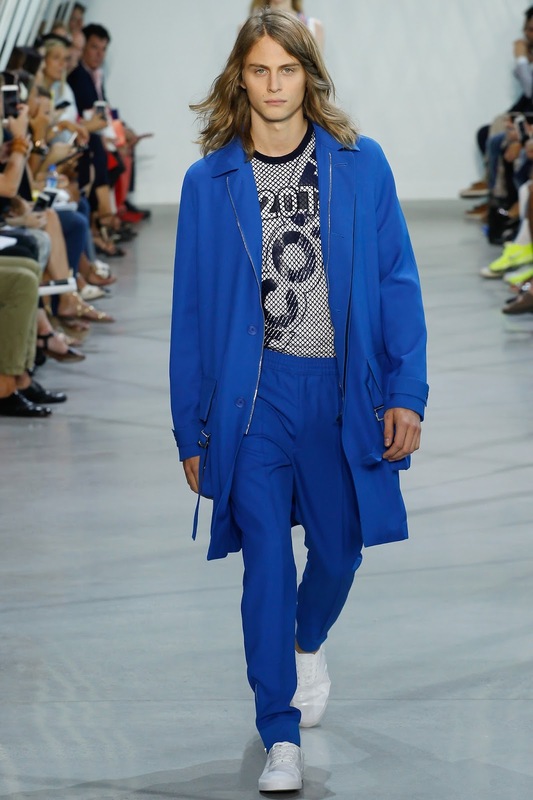 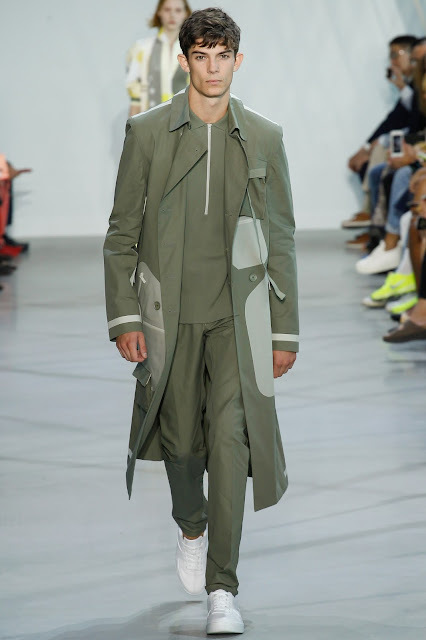 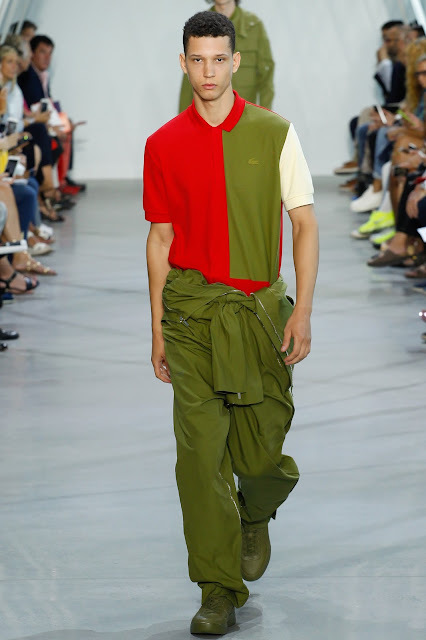 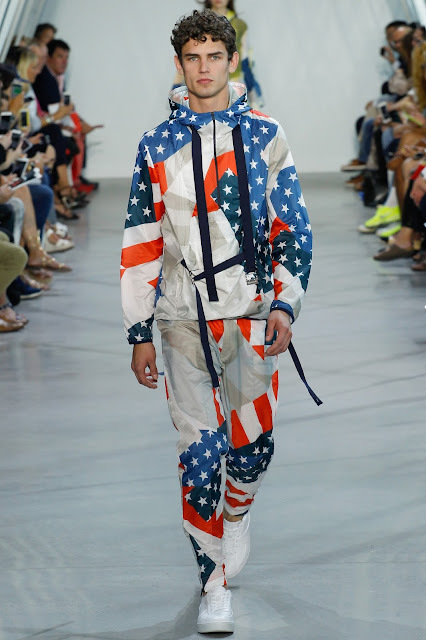 Portuguese designer, Felipe Oliveira Baptista offers for spring summer 2016 is deeply influenced by Olympics. 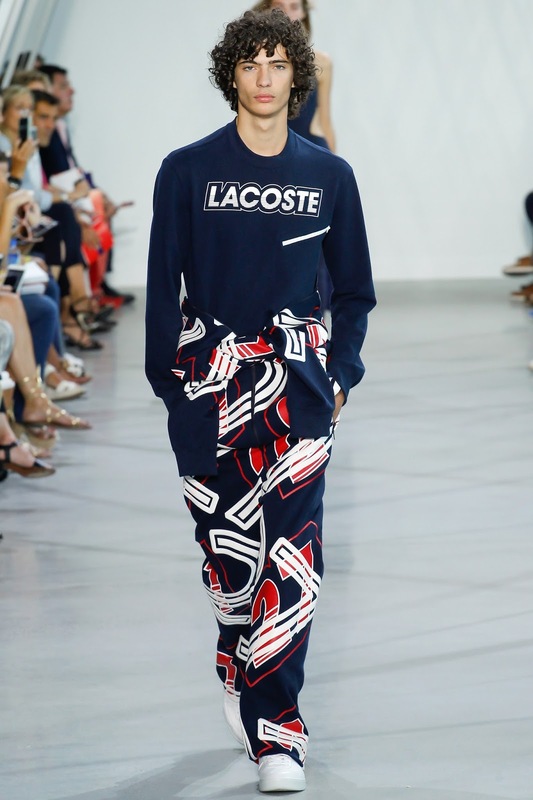 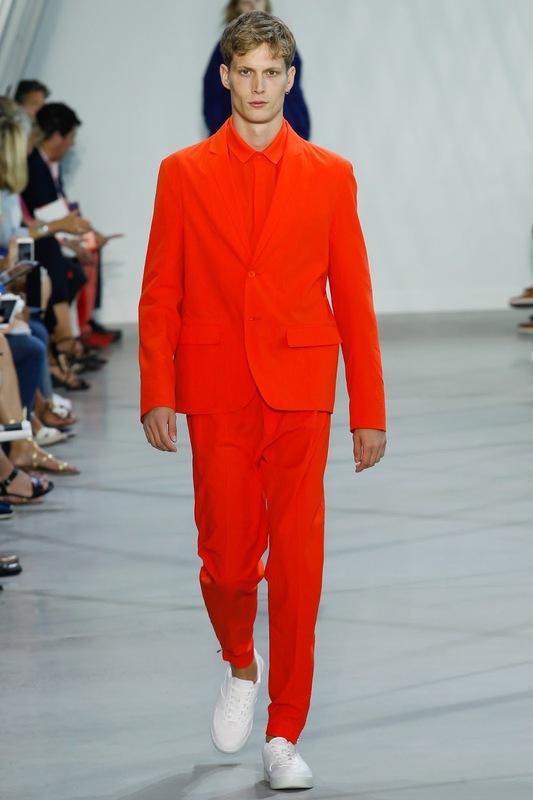 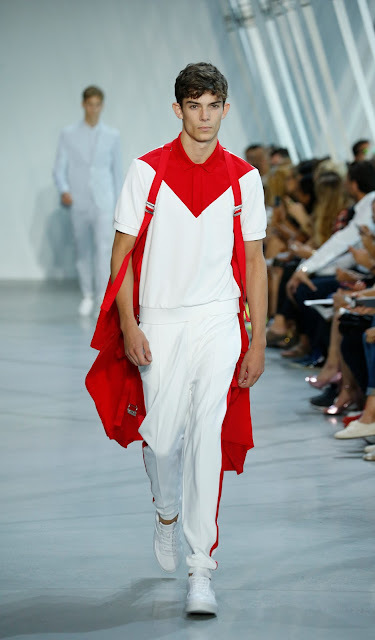 This is probably because for the second time after Sochi 2014 Lacoste will dress the French Olympic delegation at the Rio de Janeiro 2016 Summer Olympics. . He broke up and abstracted bunch of graphic elements of different national banners such Japanese, French, Swiss, American and recombined them in number of ways, across jackets, shirts, tanks, shorts, and suits. 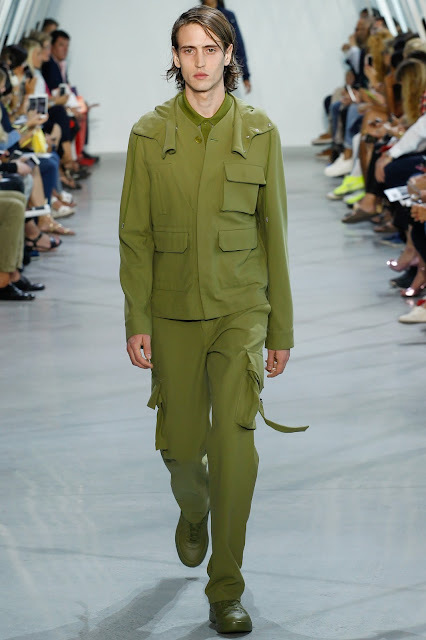 There also a line up cool utilitarian clothing. 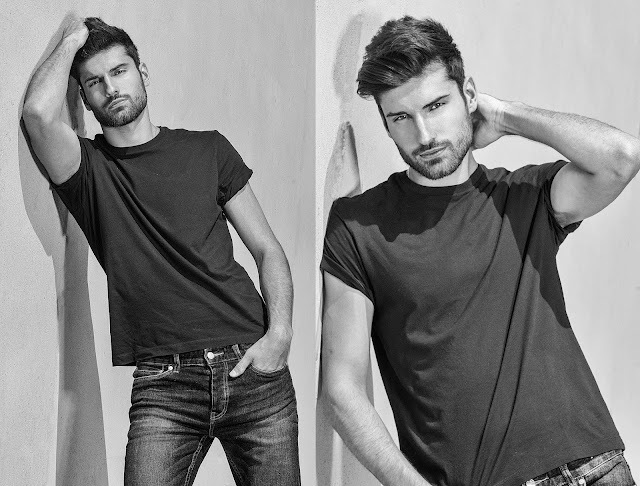 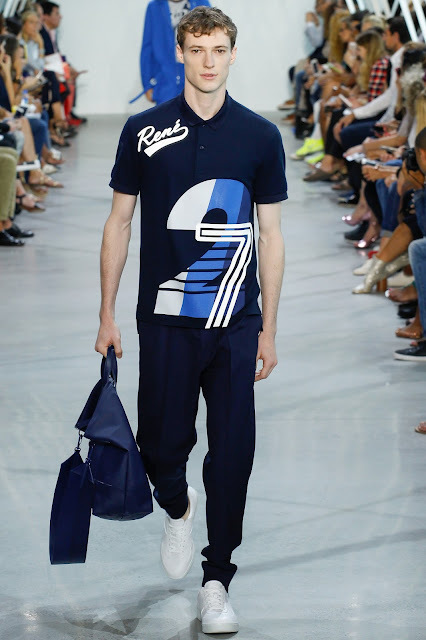 Felipe keeps adding young urban vibe to the French sportswear label.